Welcome to the best resource on long distance touch lamps aka friendship lamps, on the planet. The world around us is evolving quickly, so do the technology. Today’s technology is impacting everything around us. Interestingly, simple lamps are not an exception. We use them every day. We use them while reading, during a quick nap and last but not the least, while doing 'nothing' (pun intended). When it comes to the lamps, especially the ones, which are very close to us, the right amount of luminosity is crucial. What about having some additional creative functions? So let's say, what about having a lamp which can make it possible for you to keep in touch with your friends & other family members? I'm really talking about a lamp, specifically a long distance touch lamp which is also known as friendship lamps. A true Generation Z which is also appealing the millennials around the globe. The creative idea was to add a pre-installed WiFi capability to the lamp so you can keep up with your friends and family members who are living far away from you. These lamps are touch sensitive, which means when you touch the designated surface of the lamp, the other person’s (your friend or a family member) lamp will be lit up. The other person must a lamp too, obviously. 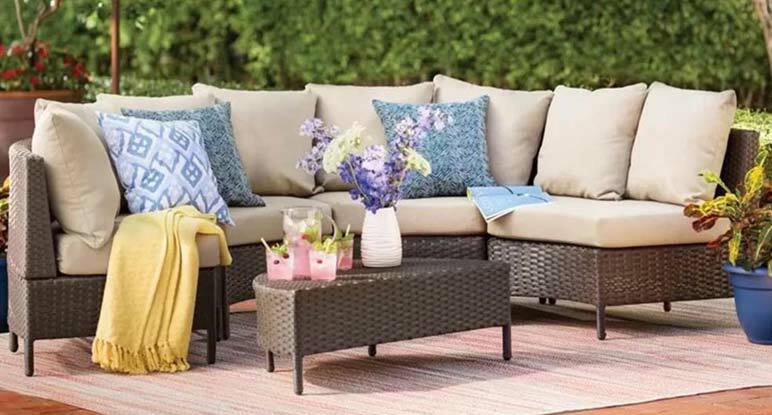 I’ve been writing about home improvement, interior design, and products since 2012 for many sites and blogs. Before making any purchasing decision, it would be good the read through the following buyer’s guide to make sure that you buy the most suitable long-distance touch lamp according to your particular need and budget. Treat your eyes with beautiful shades of blue. This lamp is designed with elegance in mind. The light is very soft on eyes and can be used to set a soft and subtle ambiance in your room, which is perfect to send romantic vibes across your bedroom. You are in the full control of the ambiance of this lamp. There are 3 levels of brightness available which are low, medium and high. So, set this thing up according to your mood and rock the moment. The main feature of the lamp is WiFi which can be enabled to connect with anyone around the world. Just connect the lamp with your home WiFi network like any other regular device and start sending the warm emotions in the form of messages to your loved ones with just a single, magical touch. The lamp has a built-in Bluetooth speaker as well. So, if you’re listening to (let suppose) all-time classic romantic track “you fill up my senses (Annie's Song)” by John Denver, and wanna send it to your beloved, it’s just a matter of touch. After when you send the song to your beloved, the track will start playing on the receiver’s lamp/speaker. Specs & Functions: The lamp is packed with a rechargeable Lithium battery which provides a long backup before you need to charge this thing again. The size and weight is fairly less, around 10.4 ounces, so it’s very easy to carry and move. The compact size comes handy if you want to carry it with you while traveling. Buyer Trust: Elecstars Touch Lamp has currently 3.4 ratings out of maximum 5 stars with 48% votes as 5 stars. Please check the current rating here. What should you expect in the package? 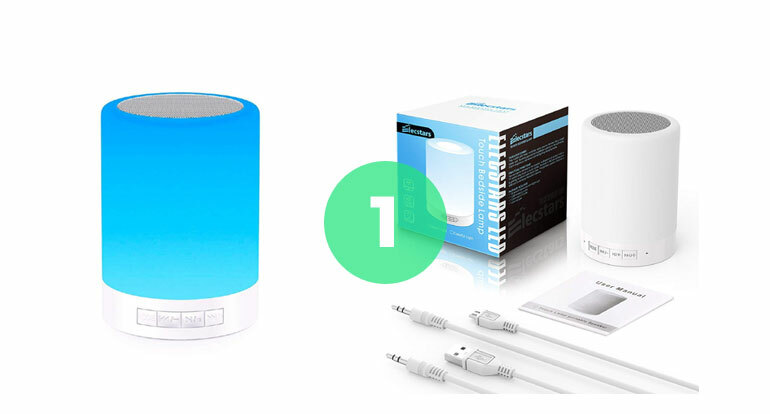 Expect a Bluetooth speaker with the night light, with a USB charging cable, an aux cable with user manual. Designed by John Harrison and Vanessa Whalen, this oriental looking masterpiece serves its purpose very well. Connecting with your loved ones, living several miles away is not a big deal if you and your loved ones have those pairs. Connect with your peers living in the United States or in Europe with just a mere touch. 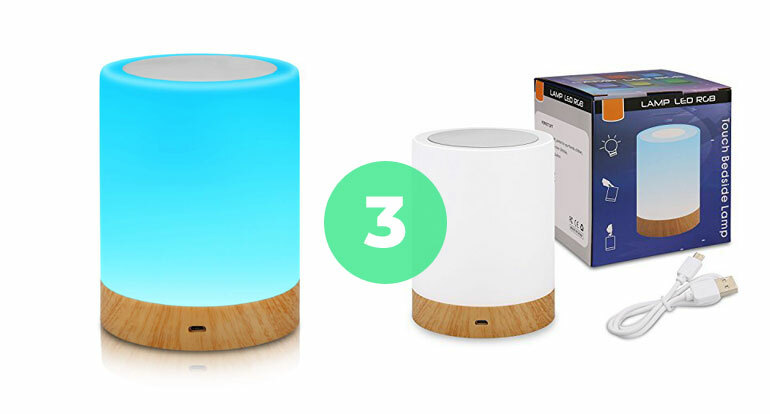 For that purpose, both you and your loved ones should have those touch lamps. Just set up your specific colors so when these beautifully crafted lamps would lit up, you exactly know who’s missing you. Using the lamp needs a little amount of work. You need to set it up by filling up a simple registration form. After that, just enter your home WiFi details and you’re good to go. Specs & Functions: As far as the décor blending is concerned, mix and match it with the new mid-century design for the best look. The light comes in 2 different colors which are frosted and black. The wooden frame adds depth & warmth in the look. Just tap the top of the lamp and let the WiFi does its magic. The other in-sync piece of a lamp will light up as well, conveying your message that you’re thinking of them. Your loved ones can reciprocate the same creating a chain of transfer of emotions and gratitude. Buyer Trust: Long Distance Friendship Lamp has currently 4.7 ratings out of maximum 5 stars with 85% votes as 5 stars. Please check the current rating here. Expect a friendship lamp, with a Filimin bridge, an Ethernet cord with bridge power cord. 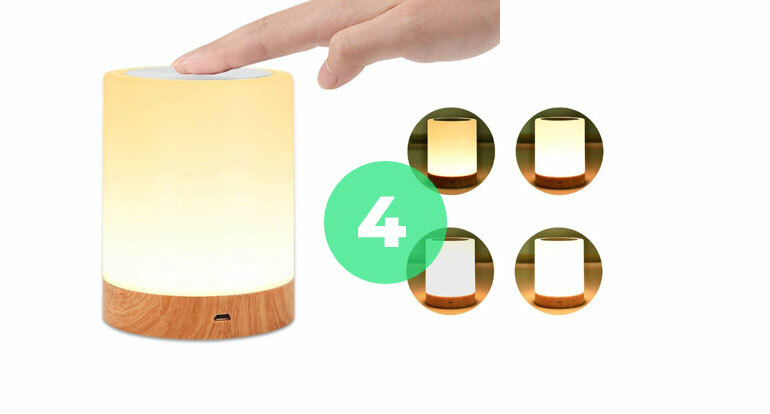 The beautiful YSD touch lamp is a sensor table touch lamp which can easily be activated by just touching it. This lamp provides 3 different levels of brightness with multiple hues like warm white, soft & moderate. The basic colors provided in this lamp are Red, Green, Blue, Yellow, and Pink. Just tap the lamp to change the colors. The dim lighting makes it a perfect night lamp for your bedroom. The lamp is packaged with a long lasting Lithium battery which can last up to 10 hours. If you want to use it for an extended time period, operate the lamp in the dim light setting. This way, you can use it for up to 40 hours. The battery is rechargeable and can be charged with a standard USB cable. This lamp is quite compact to carry along with you while traveling. The lamp can be used in a bedroom in dim and moderate brightness mode, and in the living room in maximum brightness mode. Buyer Trust: YSD Touch Lamp is not rated currently. Please check the current rating here. Expect a touch lamp, with a charging USB cable in the packaging. Buyer Trust: UNIFUN Touch Anti-Glare Lamp has currently 4.5 ratings out of maximum 5 stars with 78% votes as 5 stars. Please check the current rating here. Expect a UNIFUN LED Lamp, with a micro USB charge cable and a user manual. If you’re looking for a budget-friendly touch activated table lamp with relaxing lighting, suitable for bedtime reading, this lamp is for you. The elegantly designed body comes with various lighting blends and modes. The metallic looking base adds a fresh modern look to space. The touch control base is 360 degree, which provides maximum control and convenience. Buyer Trust: AUKEY Touch Sensor Bedside Lamp has currently 4.3 ratings out of maximum 5 stars with 67% votes as 5 stars. Please check the current rating here. 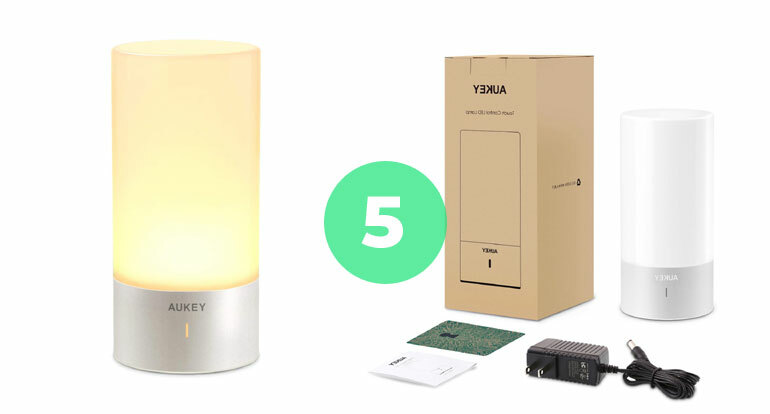 Expect an AUKEY LT-T6 Touch Control LED Lamp with an AC Adapter and user manual. In today’s overfilled hectic schedules and routines, these lamps are a convenient and creative way to remind your loved ones that you’re missing them. It’s a kind of token of appreciation and to deliver the warmth of your emotions in no time. These lamps are a perfect alternative of night lights because of their soft glow and ambiance. You can easily adjust the intensity and the level of the brightness as per your requirements. The touch interface makes it a perfect option for your bedroom. 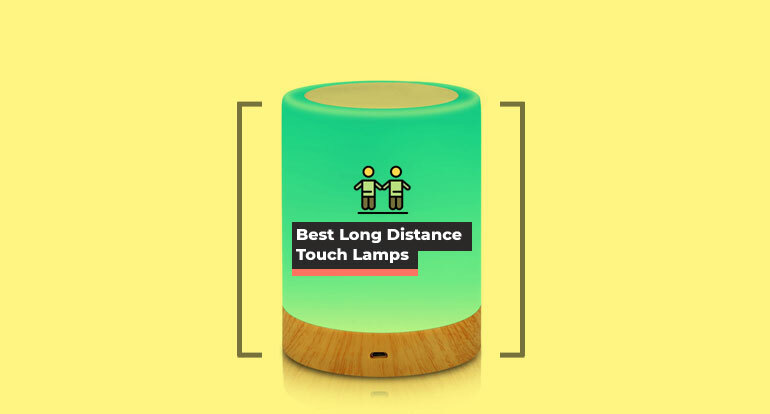 These long-distance touch lamps are ideal gift items for your friends and family members. They are not much costly and budget friendly. The creative way to get in touch will surely win the hearts of your friends. Most of the lamps regularly top the charts for the best gift items. If you’re reading this part, then I’m sure you have made up your mind to buy a long distance touch lamp for yourself or for your loved ones. Before buying those lamps, there are few things for you to keep in mind. In the following, we want to show you how you can compare and evaluate desk lamps. This will make it easier for you to decide if a particular lamp is right for you or not. First of all, make sure that the lamp you’re buying is a true long-distance touch lamp. These types of lamps are very few. The second thing to keep in mind is, make sure you buy them in pairs so you would be able to connect with each other. This sounds pretty obvious but people make such type of common mistakes every time. This lamp comes in various colors and lighting modes. Go for the one which suits your taste, mood, and requirements. Pay close attention to the lamp electrical ratings like wattage and luminosity. Friendship lamps do require a working WiFi connection for obvious reasons. You need to install and set them up properly. Look for the user manual as they would come quite handy. Follow the exact instructions to install your lamp. 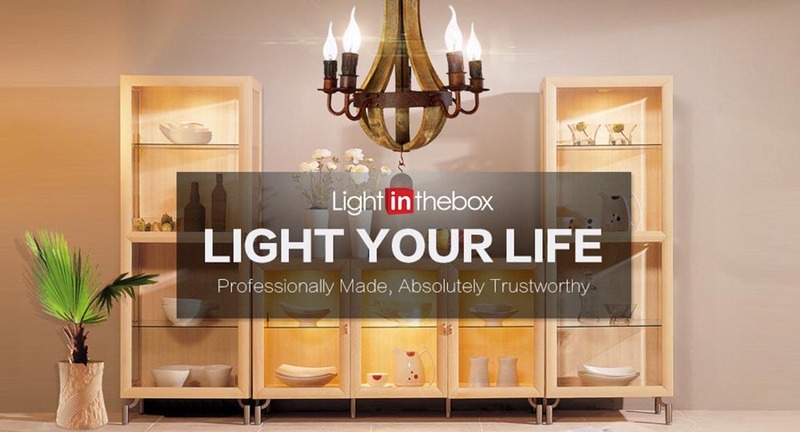 They are a lighting source as well as a décor item for your space. It would be best for you to go for a compact size lightweight lamp which you can carry with you while traveling. These lamps are available in various price ranges. No matter what type of lamp you’re planning to buy, you need to prepare a budget plan in advance. 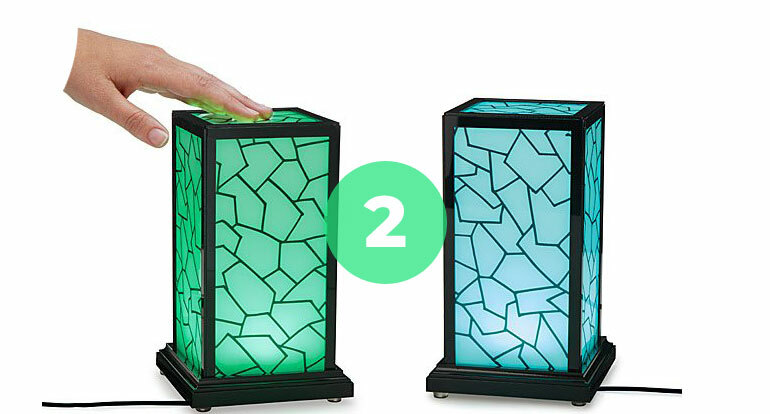 Most of the time, you may want to buy these lamps in pairs so it would be best to plan accordingly. The price of a lamp depends mainly on the structure. What is meant here from what material the lamp was made and how stable the base is? Of course, additional functions such as a touch control or several dimming levels have an impact on the price. If you want to buy a new, not too expensive desk lamp, you should expect about $20 to $40. But a designer lamp can sometimes cost several hundred of dollars like the Filimin lamps. If you’ve got sensitive eyes or have any kind of eye problem, you must pay close attention to the anti-glare features. These lamps are mostly used as bedside lamp so they gonna be close to your eyes most of the time. So be careful about those features especially if you’re planning to gift these types of lamps to an older person or to someone with sensitive eyes. In order not to strain your eyes, it is very important that the right lighting conditions should be maintained, especially during reading and writing. Desk lamps provide the optimal illumination of your workplace. Pay attention to the luminosity and the light color of the lamp. Design-wise, the lamp should match your office chair. Furthermore, the light source is very important. Through this, the power consumption and the life of the lamps are significantly determined. Which light color should the lamp have? The light color of a lamp is given in Kelvin. Optimal for working here are "neutral white" (3000 to 5000 Kelvin) or "daylight white" (from 5000 Kelvin) bulbs. These light colors are considered biologically effective as they promote our concentration. The light color also has a significant impact on our well-being. For a comfortable living situation warm white (below 3000 Kelvin) bulbs are recommended. Working at the desk, such as reading or writing, requires bright light to help relieve the strain of long-term work. Certain light colors are ideal for working, but they are often perceived as too bright. Here is very important that the desk lamp has different dimming settings. So you can make the right setting depending on the situation. Which illuminant is the best? Among other things, the light source determines the energy efficiency. With a modern lamp that uses an efficient bulb, you can save quite a bit of power. A conventional light bulb is not very efficient. It generates about 10 to 12 lumens of luminous flux with 1 watt. Halogen and energy-saving lamps are a bit more economical. They have values of 20 lumens per watt and 60 lumens per watt. At the top is the LED. It can reach up to 90 lumens per watt, making it by far the most efficient light source by far. The weight of your lamp depends mainly on the material used for the socket and the structure. Cheaper desk lamps made of plastic are of course lighter than high-quality metal. Another important factor is how flexible you can adjust your lamp. Depending on how the linkage is constructed, for example, the lamp can be adjusted in height. Or the lamp can be turned and you can easily illuminate different areas of your desk. This gives you more freedom and you can quickly adjust the lighting to your needs. The luminosity of a lamp is very crucial. In simple terms, it determines how bright your lamp is. The recommended level of luminosity varies depending on the situation and application. Factors influencing this are, for example, how much daylight falls on your desk or whether you prefer to use the workplace for lunch or in the evening. Basically, your lamp should have a value of about 500 lumens. Useful is even if you can dim your lamp. This allows you to regulate the brightness according to your needs. The light color influences the human subconscious. Basically, a distinction can be made between warm white, neutral white and daylight white. For a comfortable situation is best warm white, for working neutral or daylight white. You should make sure that you can set all three light colors. Then depending on the situation, you can choose the one that suits you best. 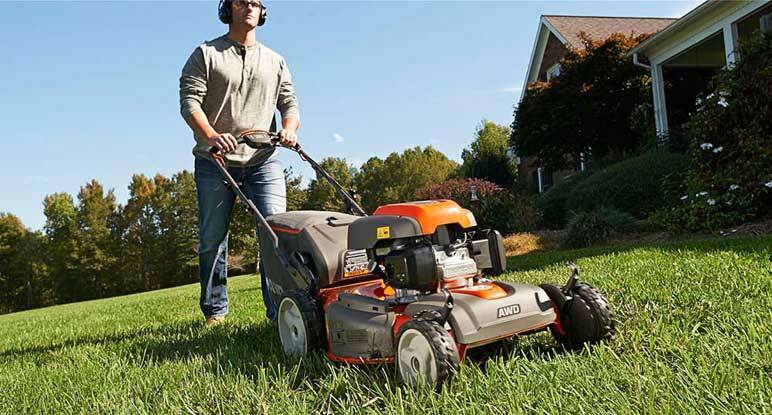 The power requirement is in most cases expressed in watts. It is of course related in some way to the luminosity. The lower the power requirement, the less bright the desk lamp will be. Here you should, depending on the requirements so carefully weigh. There’s no doubt about that these lamps are beautiful yet simple stuff. They are funny, emotional and friendly. There’s no point that you should go for one. They are not much costly. They don’t require you to break the bank. They provide a very good way to get in touch with your friends and family members. Go and get one for you! Filimin lamp is my favorite one!!! I love those friendship lamps. They r a must have!